In almost every conversation with a customer about theme selection or design, someone on the call mentions “we’d like it to look more like Apple”. Well, this usually means that they’d like a clean site with lots of white space and a focus on their product. Apple does this VERY well, and your product probably not as much. Why? Because you are not Apple. It also turns out that once a person’s website depends on a bunch of white space and great product shots they don’t actually like their website anymore. What makes Apple’s site so great anyways? 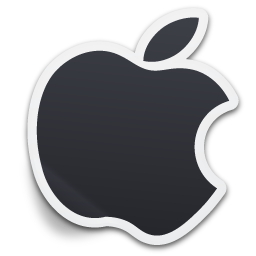 First of all, Apple’s brand is recognizable wherever you go in the world because of the products. Everyone has or has seen an iPod, iPhone, iPad, Macbook, or some other various product they have put out and everyone has adopted. The younger generation has been lovingly termed the iGeneration for a reason, and not just because ‘i’ can stand for internet. The recognition is what customers are really asking for. Secondly, Apple’s brand is not recognizable from their website look and feel, but rather the look and feel of the website reflects the recognizable design of their product. While browsing through the Apple website, you’ll note similarities between Apple products and their website. Note the clean layout and the rectangular rounded edges of the buttons – looks a lot like the iPhone, iPad or iPod, right? Notice the similarity of font usage from the products and the site itself? Last of all, to bring even more of a focus on the Apple product line, a large product shot is found on almost every page. You are seeing these products that you use on a daily basis and you like using that so feelings of attachment and emotion are brought your user experience with the site. So, really all you are seeing is a company site that reflects the products that they produce and not only are they doing it well, but most users are already engaged because of a positive prior experience. Now, imagine you are selling garden hoses, t-shirts, TVs or some other highly competitive product. Apple dominates their product categories so while you can just drop in any product into the look and feel of the Apple site, it probably won’t make sense to the eye. Not to mention the customer definitely won’t be getting the brand recognition you are striving for unless you are at the top of your forward-thinking product category. The bottom line is this: companies spend millions of dollars creating a recognizable brand. When you develop your site, it should look like your site with your branding. It should not feel like some other brand, but should look like and enhance YOUR brand, product or service. I would suggest that this practice is actually detrimental to the growth of a new site to have it look too much like a famous and world-recognized brand and any developer who agrees to this is probably not looking out for the customer’s best interests. Don’t try to be Apple. They’re good at being Apple. You are probably not, because you are not Apple. You are good at being you so, BE YOU.